I came across this on the almighty Pinterest. Even as a photographer, I can be guilty of trying to only photography the "pretty" parts of life and forgetting the "everyday." 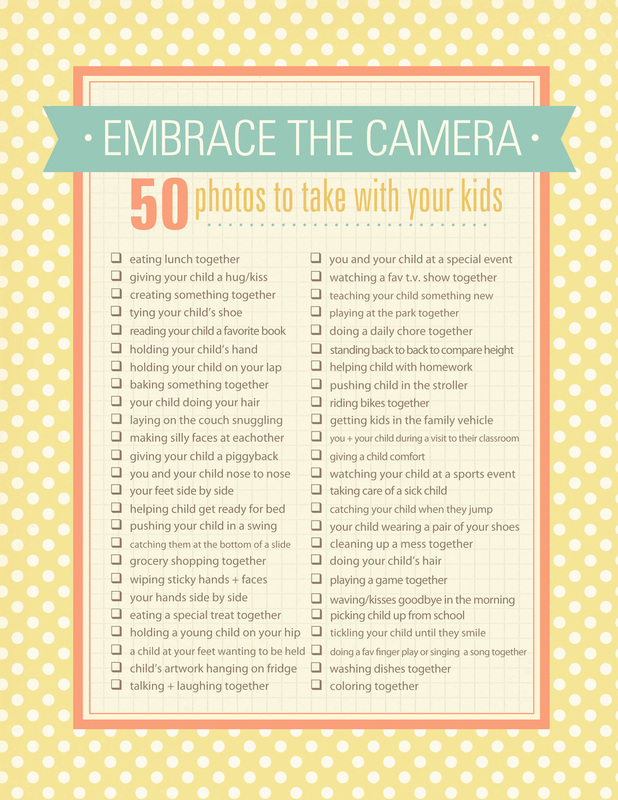 I love this list because it's things to photograph with your kids that are way more of your daily life. So moms, grab your iphones or point and shoots and go to town! I am going to print this list off and get working on it!